Beautiful You: Blogmas Day 14 | My Top 10 Christmas Films! Blogmas Day 14 | My Top 10 Christmas Films! I don't know about you but around this time of year I love to chill and watch a Christmas films with my family. 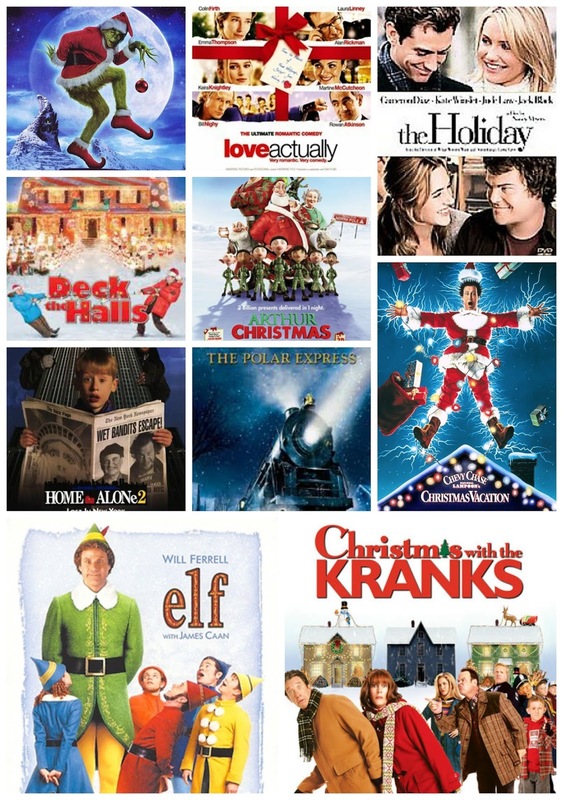 I have watch a fair share of them and I thought that it would be fun for me to share with you all my top 10 must see Christmas films! I never liked this film when I was younger because it actually scared me a little but I think this is such a good film now I'm older. I think what I like most about it is the fact that it teaches the real meaning of Christmas and not teaching kids that its all about the presents. This was the first Christmas film I watched this year and that was in November; not even ashamed. I don't feel like this is your typical Christmas film but that's what makes me love it so much and how the film is not believable at all but of course Jude Law is beautiful which makes up for it!! This was another film that I watched quite early this year, it was on sky and we had children in the house so we decided to put it on. I love how this film still teaches kids the real meaning of Christmas whilst being quite modern at the same time- Bryony the elf is my favourite character! Everyone loves a bit of romance around the seasonal period and this is definitely that. I love the music, the cast and the storyline of this film and if any of you haven't seen it- I am extremely disappointed in you! I hated this film when I was younger because the Grinch really scared me but now I just think it is the funniest film ever, it is a little bit ridiculous and so far fetched but I think that's what make is so funny. I do really like this film and it wouldn't be Christmas without watching it however I do think the novelty has worn a little now that I have seen it so many time. However now that I have been to see the musical I might watch it again and hopefully I'll love it. Now this film and the next one are you old school Christmas film with really ridiculous jokes- I do have to say that I find them hilarious! My favourite part of this film is when the wife tries to get the Hickory Honey Ham and she is just an failure. I love Danny DeVito in the film, he makes it amazing. This is so cringe and out right ridiculous but it wouldn't be Christmas without it. My brother is apparently having a competition with his neighbour over their Christmas lights, he put some up and then they put loads more up so he ended up having to go out and buy a load more- it's save to say I'm excited to see his house when we arrive. I watched this a few years ago when my step dad made me and I know it is really cheesy and cringe at times but I think that is what makes it one of my favourites. This definitely a film that you can't take too seriously because it is a bit ridiculous but I secretly love it! What Christmas films do you have to watch around the festive period? Do you like any of the films that I've mentioned in this post? Let me know in the comments because if there are any I haven't seen then that would be amazing because you can't be Christmas films!